Well here’s my first ‘Gallifrey blog’ as I’ve been fairly busy. 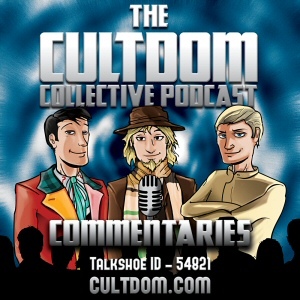 As many of you who listen to the CIA podcast Ian ‘The Sixth Doctor’ and I have decided that after quite a few months of keeping CIA going – without really being able to push it forward – we are going to start our own podcast on Talkshoe. We will still run on Sunday (for some parts of the world early Monday) but at a later time of 3.30PM EDT. This is so that we are clear of Podchock LIVE when it is up and running during Doctor Who Series 5 and also means that CIA under West can continue – should he so choose. The last CIA we shall ‘host’ will be on the last Sunday in July 2009 and the first full Cultdom podcast will be the first Sunday in August 2009. We may do one or two short ‘studio’ intro shows before that. That mean’s there will be at least a great group of 100 CIA shows – that people will I hope continue to download and listen to.